Tags: apple cider vinegar and honey;yeast infections;bacterial infections;viral infection cure, garlic, ginger, God's natural provision, lemon, The MIRACLE Cure? Have you been having niggles, aches and pains from your knees? Yeast infections such as candida albicans? Fungi infections such as mycoses, bacterial problems such as chesty coughs, even flu infections? Perhaps it is some viral infection with symptoms such as coughing and sneezing, fever, inflammation, vomiting, diarrhea, fatigue, and cramping — all of which are ways the immune system tries to rid the body of infectious organisms? Be at rest. You need not spend a fortune to get healthy again, the Lord knew and made provisions in nature. Another beautiful thing is that the pharmaceutical companies do not have a patent on this solution; in fact, you can get them in your local supermarket for pennies! Some top doctors have revealed that the combination of garlic, ginger, lemon, apple cider vinegar and honey is a wonderful drug that can cure everything from Cancer to Arthritis, and makes you lose extra body fat and weight. Is this the naturally provided miracle cure? In the beginning, God gave Man a simple vegetarian diet, “And God said, Behold, I have given you every herb bearing seed, which is upon the face of all the earth, and every tree, in the which is the fruit of a tree yielding seed; to you it shall be for meat.” [Genesis 1:29] The Fall made man carnivorous and his taste bud changed. I am NOT saying that being carnivorous is sinful or wrong, but I believe vegetarianism is the best for the human body! Amazing studies from respected universities around the world prove the miracle home remedy that costs just pennies a day to make, a super way to fight just about any affliction. Experts have verified that this health restoring trick of garlic, ginger, lemon juice, vinegar & honey can wipe both our common & not so common ailments. Success also includes acne, Alzheimer’s disease, arthritis, asthma, high blood pressure, some types of cancer, excessive cholesterol levels, gas and indigestion, headaches, heart and circulatory problems, hemorrhoids, infertility and impotence, toothaches, obesity, ulcers, and many other diseases and conditions. In a study of arthritis Dr. Angus Peter of the University of Edinburgh’s Arthritic Research institute found a daily dose of vinegar and honey reduced pain by 90%. A daily dose of garlic and vinegar has proved to be a powerful and fast weight destroyer and reducer, according to Dr. Raymond Fisk of London’s Lamsus University Research Center. The prestigious British Medical Journal Lancer reported that cholesterol levels plunged on average from 237.4 to 223.4 in three hours after volunteers consumed 60 grams of garlic and four ounces of butter. The study proved adding garlic to your diet could neutralize the dangers associated with high fat. A study of 261 adult patients by the German association of general practitioners indicated that cholesterol and triglycerides levels factors associated with the risk of heart disease are significantly reduced by regular use of garlic in the diet. Honey contains 35 percent protein that contains half of the essential amino acids your body needs and it also contains vitamins in the B-complex, as well as vitamin C, D and E, according to the book “Prescription for Nutritional Healing, The A-to-Z Guide to Supplements,” written by nutritional counselor Phyllis A. Balch. Garlic contains volatile oils and sulfur that make it a strong antiseptic and apple cider vinegar has been used in folk medicine to treat a wide range of ailments, especially in its unfiltered and undiluted form – usually loaded with highly beneficial enzymes. Houston’s M.D. Anderson Cancer Institute in Houston, the Pennsylvania State University and ULSA, support earlier evidence that certain ingredients in garlic block agents that cause cancers of the breast, colon, skin and esophagus. The National Cancer Institute found in a study of 1600 people that eating a lot of garlic is linked to a reduced risk of stomach cancer. Dr. Erik Block of the State University of New York at Albany has discovered that garlic release at least 100 sulfur producing compounds all of which are powerful medicines. There appears to be little doubt that this astonishing potion made by mixing garlic, ginger, lemon juice, apple cider vinegar and honey can extend life by protecting you from many proven killers. Dr. Han Len Tsao writes in China’s respected Journal of Natural Medicine, that “patients when given this miracle drink before breakfast showed a remarkable reduction in high blood pressure and cholesterol in less than a week”. Garlic has been used as a medicine, according to Sumerian clay tablets, dating back 4,600 years. Since the 1970s, there have been more than 46 human studies regarding the effects of garlic on cardiovascular health, according to a 2002 “Nutrition Journal” article by Sanjay K Banerjee and Subir K Maulik. Raw garlic, used in 4- to 6-week studies, shows a significant decrease in cholesterol, triglycerides and hypertension, three known heart disease risk factors. All of the clinical trials administered 600 to 900 mg of garlic daily during the trials. 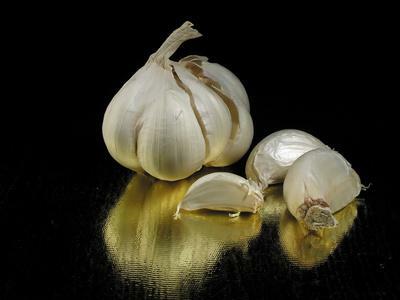 Some garlic eaters report body odor, bad breath, heartburn and nausea. However, side effects could rise to dangerous levels if you are taking any blood-thinning medication, such as Coumadin. Garlic is a natural blood thinner, so garlic may interact with and naturally increase the thinning of blood caused by medication. Therefore, for those not on any medication, this may be a natural alternative medicine to counteract the effects of deep vein thrombosis. Rich in antioxidants, garlic can also be used to help prevent heart disease, including atherosclerosis or hardening of the arteries (plaque build-up in the arteries that can block the flow of blood and may lead to heart attack or stroke), high cholesterol, high blood pressure, and to boost the immune system. Garlic is best taken in its raw state, added to your food; however, it may lose some of its healing benefits when processed as a supplement. Garlic provides a storehouse of vitamins and minerals and what excites researchers more, is growing evidence that from an enzyme present in large amounts in garlic stimulates the immune system. In a recent study involving two thousand elder women, researchers found that those who ate garlic once in a week were half as likely to develop colon cancer as those who did not. 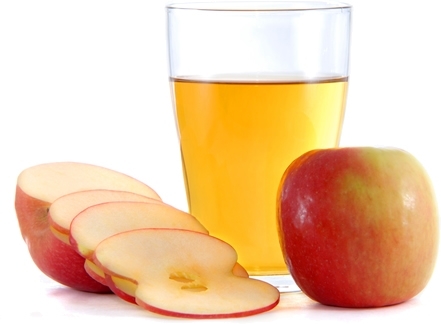 Dr. Jack Soltanoff, who is a national expert at New York, praises the benefits of apple cider vinegar. He recorded remarkable success stories involving arthritis sufferers. He says, “I have seen many arthritis patients start to loosen up at once”. Some even call it (apple cider vinegar) a natural arthritis tonic that frees them from stiffness, pain and aches within just a few weeks, and most pain-wrecked patients can start to perform normal activities because of this simple tonic. Many athletes are heard to be taking this potion for a competitive edge. “Honey has been described as the perfect food” notes a respected researcher, “it contains a lot of nutrients and minerals, the important part of nine vitamins, six acids and four key enzymes in their most natural state. What about the seemingly quiet ingredient of this powerful mix – Ginger? Ginger root has a very high level of antioxidants — higher than many berries — making it an excellent defender against cell damage and associated diseases caused by free radicals. Ginger also has anti-inflammatory properties. In a study published in the 2009 issue of the “Journal of Alternative and Complementary Medicine,” researchers found ginger to be as effective as ibuprofen in relieving menstrual pain. Ginger has also been reported to be effective at reducing pain and swelling in patients suffering from osteoarthritis of the knee, rheumatoid arthritis and general muscle discomfort. Ginger is particularly useful in treating chronic inflammation because it partially inhibits two important enzymes that play a role in inflammation gone awry — cyclooxygenase (COX) and 5-lipoxygenase (LOX). While anti-inflammatory drugs block COX more strongly, they don’t affect LOX at all and therefore only address part of the problem. Even worse, anti-inflammatory drugs can cause side effects, such as ulcers, because they also block the beneficial effects that COX has on the digestive tract, including protecting the stomach. Ginger does not cause stomach irritation; instead it helps protect and heal the gut. 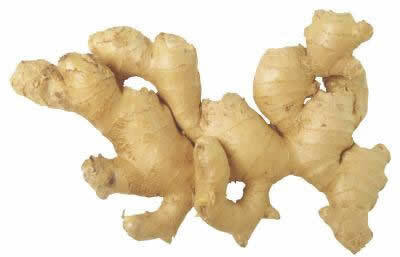 Ginger also treats a broader range of the inflammatory problem because it affects both the COX and the LOX enzymes. And because it doesn’t shut down the inflammatory process entirely, ginger may actually allow it to work properly and then turn itself off, the way it does with an injury. Besides reducing inflammation, ginger has many other benefits. It can help destroy a host of viruses, and in some laboratory studies has shown promise as an anticancer agent. And the sweet part of the potion – Honey? Even this is recommended in the Bible (Proverbs 24:13). Honey protects against damage caused by bacteria. 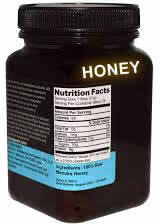 Some honey also stimulates production of special cells that can repair tissue damaged by infection. In addition, honey has an anti-inflammatory action that can quickly reduce pain and inflammation once it is applied. But not all honey is the same. The antibacterial quality of honey depends on the type of honey as well as when and how it’s harvested. Some kinds of honey may be 100 times more potent than others. The major antibacterial component in manuka honey is methylglyoxal (MG). MG is a compound found in most types of honey, but usually only in small quantities. Here’s how to make your own miracle medicine. In a bowl, mix together half a cup of lemon juice, half a cup of ginger juice. Now put twenty five cloves of chopped garlic in a blender and mix at high speed. Add one cup of vinegar (use only apple cider vinegar), as you blend and after it has mixed nicely add one cup of honey, and mix the whole mixture in the blender again. Now pour this mixture into a glass jar (no plastics) and leave it in the refrigerator for a minimum of five days. If you are still scared of the taste and smell even though you have some honey in there, add a little stevia and you will soon find that it is like a juice made in heaven! Honey not only makes your daily dose taste better, the sweet stuff also aids in your body’s ability to absorb medicinal properties of the other powerful ingredients. IMPORTANT: However, you should consult and take counsel from your doctor before trying to treat yourself of any ailment or stop using your normal prescription, these are just guides. Do not use this potion with ANY medication without first consulting with your doctor. Gas or indigestion: Put two tablespoons of the basic mixture in a cup of water and warm to the temperature you use for your coffee or tea. Sip slowly at the first sign of distress. Even though it has been blended with honey and vinegar, garlic’s pungent odor can still be a problem for some people. To deal with this side effect, experts recommend putting springs of parsley in the elixir or eating parsley raw after taking a dose. This amazing natural remedy has been around for at least 4,000 years. ** There is a much more in-depth version with EASIER-to-adapt solution compared with the one suggested here. Simple Solutions For Complex Challenges. Also, instead of garlic, you may use MSM (methylsufonylmethane) powder or crystals. 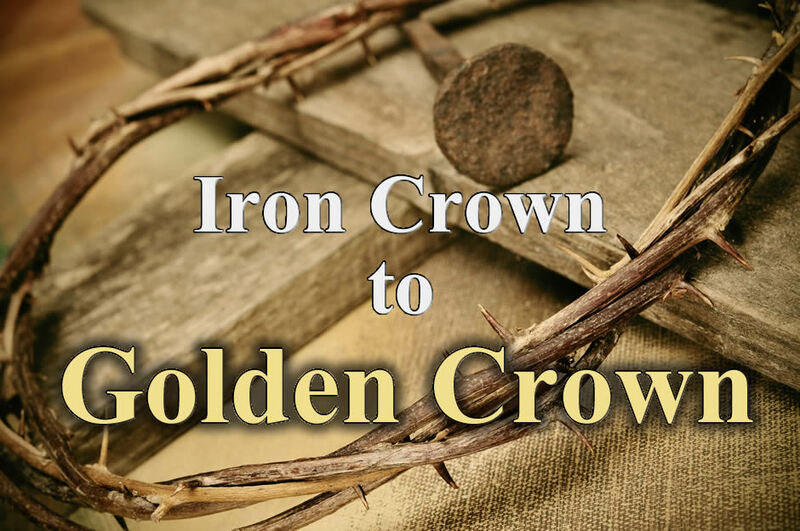 UPDATE: I will be sharing The PERFECT CURE – Incredible Provision of God, in September 2016, come back to read – full of incredible information you’ve never heard before! Thank you Brother John amazing remedy .. God bless you for finding this.. will give this atry..
Dear Shirl, sorry to read of your cancer challenge. It is good that you are seeking solution for the challenge and I trust God that you will indeed find a suitable solution. Please, make sure you work closely with a healthcare advisor in whatever remedy to choose; this important as they can help guide you as to what your body will respond to at best. I will remember to pray for you, and when you have been healed (I believe Christ can do it), let me know. Within the next few days, I will be posting some more information on these type of health challenges – ebola, cancer, HIV, herpes, etc. Thank you so much John.I am hiv+ve and taking moringa,blackseed capsules and a multivitamin.However I am very interested in adding this to my regime.Is it ok? Hi Janie, sorry to hear of your HIV infection. It is good that you have not given up and are doing something about it. Check my latest article here: Simple Solutions For Complex Challenges https://brotherjohn.org/simple-solutions-for-complex-challenges/. So, I will suggest that you alternate the two solutions either every other day or take the ozonated water in the morning and after some four hours take the “miracle cure” concoction. However, I would suggest that you first de-worm before you start the regime. That would make things work faster. Above all, the Blood of Jesus Christ is the ULTIMATE healing solution, because it has EVERYTHING. Dear brother John, thank you very much for the miracle cure write up. I have always advocate the raw version rather than the boiled down version as what many suggested.Would like to know, is the keeping in the fridge for at least 5 days to allow the ingredients to settle before taking? Thanks again. Grated RAW is always better, when some of the constituents are heated, they lose their efficacy; Personally, the last time I made this mix, I mixed them raw. However, there is a MUCH BETTER solution: https://brotherjohn.org/simple-solutions-for-complex-challenges/. If you are trying to attack flu or food poisoning, I have discovered that Ozonated water works FASTER! This is because oxygen attacks the environment of those fungi and bacteria and they cannot replicate, hence the body gets rid of them faster! In any case, contact your nurse or doctor for proper medical advice. Yes. But you would still need to do a little dieting and exercise and pray. What sort of dieting? Reduce the intake of simple carbohydrates, especially artificial sugar such as sucrose, fructose, and lactose. These spike your blood sugar levels that can easily push hunger pangs and encourage you to eat more. But the brain needs glucose to function properly. In the absence of carbohydrates in the diet, your body will convert protein (or other non-carbohydrate substances) into glucose, so it’s not just carbohydrates that can raise your blood sugar and insulin levels. If you consume more calories than you burn from whatever source, you will gain weight. To say all carbs make you fat is oversimplifying the issue. Carb-rich foods exist in two forms; complex and simple. Both provide four calories per gram, the same as protein and half the calories of fat. Complex carbs such as oats, whole grains, squash, sweet potato and pulses are high in fibre making them a useful addition to weight loss diets as they take longer to digest and help keep you ‘fuller for longer’. You want to avoid combining these simple sugars with fats such as cheese or creamy sauces. My suggestion is, if you can get on the Ketone Diet, it will help you shift stubborn belly fat. A simple summary of the Ketogenic diet is that you reduce your carbohydrate intake to the barest minimum and increase your fatty intake to very high level. Unused carbohydrates store up in the body as energy reserve – glycogen – (hence the belly fat), but fats get burned faster in the absence of glycogen. The concoction helps the fat to burn even faster. The second part is exercise. You don’t even need to go to the gym! Twenty to thirty minutes of medium/fast-paced walking and getting sweaty doing it daily is enough. The extra fat all over the body is not stone, it will burn, but you must be patient to enjoy the result. You did not store the belly fat overnight, don’t expect to lose it overnight either. Give yourself some six to eight weeks to start seeing very good results. Once you start losing the belly fat or have lost it, the challenge you will have is keeping it that way, but if you can be disciplined enough not to return to those bad carbohydrates, you should not have problems with belly fat again. Most importantly, don’t stress yourself over it. Talk to the Lord about it, perhaps, the Lord actually wants you to watch your eating habit and make a good correction. Good eating habit is part of being righteous (a person who does what is right). God bless. Definitely Honey can cure HIV. I don’t know about that. Honey? Cure ANY disease? I don’t think so. While it may have antibacterial properties, I am not aware of the fact it does more than that. It may support the SYNERGY of other herbs, but I don’t think or believe it can cure any disease at all. For the high blood pressure elixir is that in addition to the basic or is the hbp just the 18 garlic cloves etc? Well, instead of shoving so many garlic cloves down my throat, I would add serrapeptase to the mix. Do you know about SerraHappy’s serrapeptase? It’s likely to be the best in the market because of its high bioavailability due to a natural delay mechanism. If you don’t know about serrapeptase, go here to serrahappy.com to read about it, it is a natural product and works better than aspirin WITHOUT the side-effects. Does this help reduce or dissolve artery plaque? My husband had a stroke a little over 2 years ago & it was due to blockage of plaque in his neck artery & they had to perform surgery to scrape the plaque in his artery to undo the blockage but that same artery is at almost 80% blocked again on both sides of his neck now. I’m trying to find some other way to dissolve the plaque instead of having another risky surgery again. He had problems after that surgery. I know God can do all things but fail. Thanks, Have a blessed day. Hello Tina, if you are referring to SerraHappy’s serrapeptase, yes it does. It is a phenomenon! It dvours artery plaque! I would suggest that you try it! Go for the 250,000IU High Strength – and also with prayers. is this apple cider vinegar garlic zinger lemon and honey drink can we use for diabatic to reduce sugar levels. Please speak with your healthcare advisor. Also, if the person’s blood is not too thin or not on any blood-thinning medication, a rich clove and cinnamon diet can help bring down the blood sugar as well. Thank you for sharing this healing recipe. These are bountiful ingredients, indeed! Can this also help with chronic Lyme disease? Do you have any recommendations for that? We sell a Max Strength Serrapeptase: https://serrahappy.com/product/serrahappy-high-strength/. Let me know if you want to buy from us, so you can get a special discount. More importantly, I would fast and pray, with a full trust that God would flush my blood with His Blood that is full of life. For me, that is the most important part of my protocol for perfect health. I will be praying for you. Please keep me updated, too. I will try those things and definitely want to purchase the Serrapeptase from you. Sorry, and one more question. What is OZONE? Where can I find out about it? I wrote about OZONE here in this article: Simple Solutions for Complex Challenges. You can easily get the home version machine at either Amazon or Ebay. WHere exactly are you based? Hi John, am at a loss how to get ginger juiced, can you please suggest it in terms of weight? I am being treated for blood clot and am off Zarelto, the blood thinning drug and will like to have this elixir as a daily supplement. Your advice will be highly appreciated. Ginger is a challenge to juice. My suggestion is that you make a smoothie of ginger instead of the juice. There is no part of ginger that is a waste even the fibre can be of great help in the process. You don’t really need a lot to thin your blood as garlic and turmeric will thin your blood as well. Above all, consider the super elixir, which is the Blood of the Lamb. Take it by faith daily and it will work wonders for your body. Also, please check with your healthcare advisor or personal doctor to verify if this combination is right for you. Can this concoction help dissolve a blood clot? Yes, I believe it should. Also, consider a natural product called serrapeptase, you may check it here: http://www.serrahappy.com, as this company is based in the UK, you may consider one nearer to you.